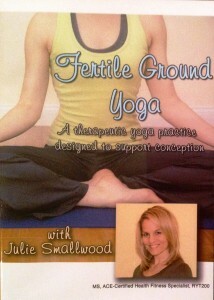 This gentle yoga therapy DVD is designed for those struggling to conceive. The movement and breath together aim to reduce physical tension in the pelvis, increased blood flow to the uterine region, and relieve emotional stress. Two complete classes with guided meditation are included for different phases of the menstrual cycle.